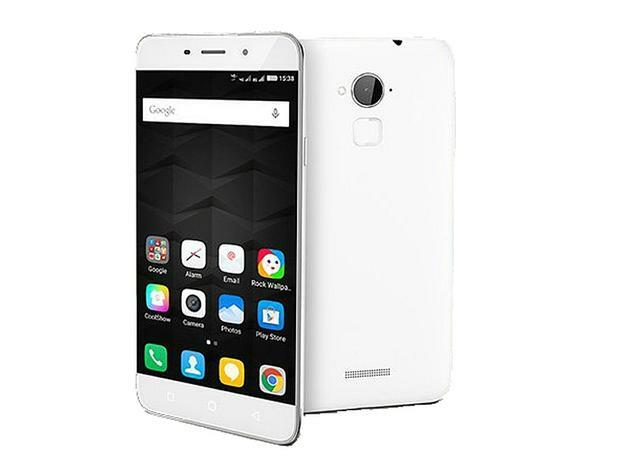 Coolpad Note 3 runs on Android 5.1 (Lollipop) but it has custom CoolUI so i am telling you the tips and tricks of this Coolpad Note 3. Hold your finger on home screen and it will open four option at the bottom from where you can add widgets, change wallpapers, add effects and Preferences, in preferences you can change screen layout, lock screen layout, automatic arrange icon and more cool things. Open the notification center and in the end you get the multitask tap on it and it will open side bar menu, you can tap on edit to add more apps and it will help you do multitasking for example -open browser and open side bar menu drag youtube widget and you can watch video and suffer internet at same time. Open the notification center and tap on long standby its like ultra power saving mode when you enable this mode you can use only message, phone, calculator, contacts and alarm if you want to exit tap on exit. This button provides to you some additional option like brightness, restart, menu, etc. This options allows you to get quick access of the apps. To enable this button open notification center and tap on C Button. Rock wallpaper is best app you can tap on it to enable and when you shake your device it will change the wallpaper. If you want more devices tips and tricks comment down below. When i pressing the long standby icon from the notification drawer, i cant turn off it, if it is on notification drawer will be vanished. Cant scroll down it. Then how to turn off it. Now im doing restarting the phone. Is tber any option pls help me. After pressing the long standby icon it will turn your screen black and some shortcut will be there like phone, Messaging, Contacts,Alarm, Calender then Exit. Just press the exit button it will exit from long standby icon. hope this will solve your issue. Hi facing the same issue. When we select the Long standby option the notification bar goes blank and we have to restart the phone. It’s happen because you are using different launcher. Come to back with Coolpad Launcher and activate long standby option. Look at the right side down. You will see exit option. How to turn on double tab to wake up the screen feature. How to unlock Lock Screen Layout? How to go to preferences settings? Hello sir , m y name is Vikram. I am using Coolpad note 3 past 1 month. how to activate One touch APP Access..
Amazon shows Coolpad support One touch APP Access feature. Access the various applications with a touch of your finger. Customize different fingers for different applications, like forefinger to open the Camera & ring finger for Phone Tool etc. But there are no option to activate this. i cannot able to set my different fingers to open different apps. please advise the wallpaper settings…. Sir recently I have bought my new coolpad note3 mobile phone.by pressing long for much time it will display some gadgets.but by mistake ly I have locked it.can you please tell me the way to unlock the screen layout. You just need to disable Lock screen layout from the preference. Press the recent tabs touch button and hold it then go to Preferences > Lock screen layout and un-tick it. I bought Coolpad note 3 before a month, it works good and i have changed the locked screen layout. Now all my icons are locked. I don’t know how to unlock the screen layout. Kindly someone guide. How to use the eye blink lock in cool pad note 3 lite. I have locked my screen layout from preferences. Now by long pressing touch the 4 panes below doesn’t open as the layout is locked. Help me out. Can restarting the phone help?? Cannot unlock screen layout once locked. Even after long pressing the screen, the 4 options below which showed earlier which contains the Preference option does not show and it states that the layout is locked. Am stuck up. Please help to solve the issue. My Name is Hamid. I am using Coolpad Note3 lite from last one month. Is it possible to see clock in sleeping mode? yes install app from playstore. what is the use of screen pinning?? How to contact from foreign country ? When I m trying to save american number it is showing wrong format..
Bro wait for 1 day i will add subscribe widget in side bar. 1 . Go to settings. 3. Now press the “square” that is left of home button. Plz post comments if u like…it surely works good…my phone just drains only 1℅. over night in standby and battery saver mode.